This is a scene inspired by a sunset on the Pacific coast in San Francisco. 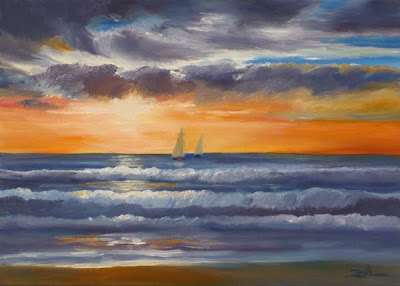 Two sailboats glide by in the distance under a dramatic sky. This painting is sold. To see my artwork for sale, visit Zeh Original Art Shop. Thanks for stopping by and have a great day.